Valve cotters have the task to connect the valve-spring retainer with the valve so that the valve spring always keeps the valve in its required position. While rotated cotters were used previously, today the cold imprinted valve cotters are state of the art for valve stem diameters up to 12.7 mm (1/2 inch). 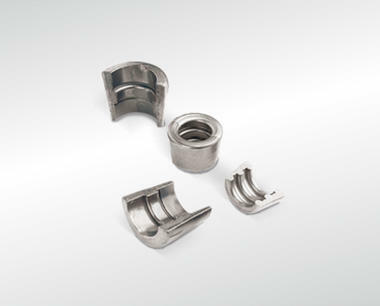 TRW has standardised the valve cotters to limit the numerous variants. The accurate embossing procedure guarantees consistent quality and ensures interchangeability. When renewing the valves, new cotters must also be used in any case!